If you are running a small business and you need to pick marketing tools on priority in case you have a tight budget. You need to pick those which gives good conversion and sales for your business. Email Marketing is still among the most valuable tool to increase business. Well-crafted emails sent to potential customers at regular interval can lead to more conversion as it not only informs the customer about the business but also build the brand of the company. Listed below are top 5 reasons for using Email Marketing for small businesses. If you have a shoe-string budget, then email marketing is the best choice. With various email service providers available in the market, you can easily pick low cost one according to your requirement. With services like Mailchimp, you can send emails to 2000 contacts for free. There are many such services available which you can use for $20 or less a month. Services of today are very easy to create an elegant email. They come with easy-to-use widgets, drag and drop module, etc. which makes email marketing as simple task. Also, the emails are effective too. With all the features of today’s services, one can create attractive emails in 90 minutes or less. As you get accustomed to the services, this time, reduces to almost half. The reason behind this speedy formation of emails is the email templates of huge variety that comes with these services. Most of the customers consider email marketing as a preferred tool for marketing messages. Email marketing delivers customized message to the customers as per requirement. 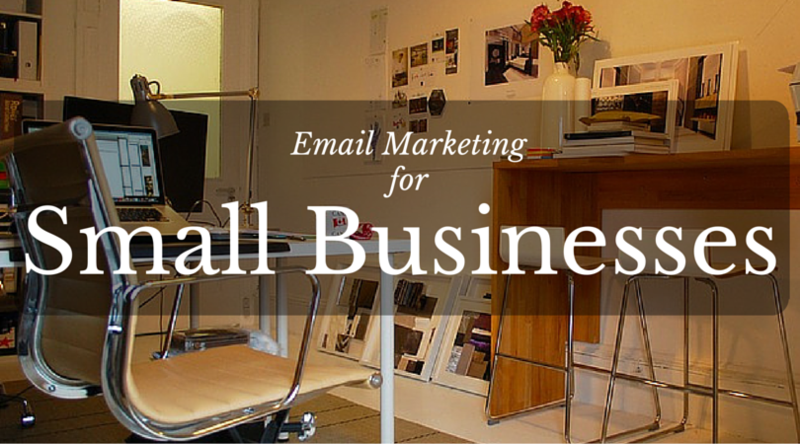 Targeting certain section of the market can be done in the case of email marketing for small business. Email marketing is not just about newsletters only. You can use emails for a variety of purposes like sending promotional content, reengagement with customer, feedback from the customer, etc. These services provide the ability to engage with customers at multiple levels. With these above-mentioned reasons, we would like to end our post on benefits of using email marketing for small businesses. Let us know if any of the reason given here made you try these services. Also, mention your experience in our comment section below. Why Online Mailing Services are Better than Email Software?